This course was developed for front line supervisors responsible for making reasonable suspicion drug and alcohol testing referrals of employees who perform safety-sensitive job functions for transit agencies that receive funding from the Federal Transit Administration. 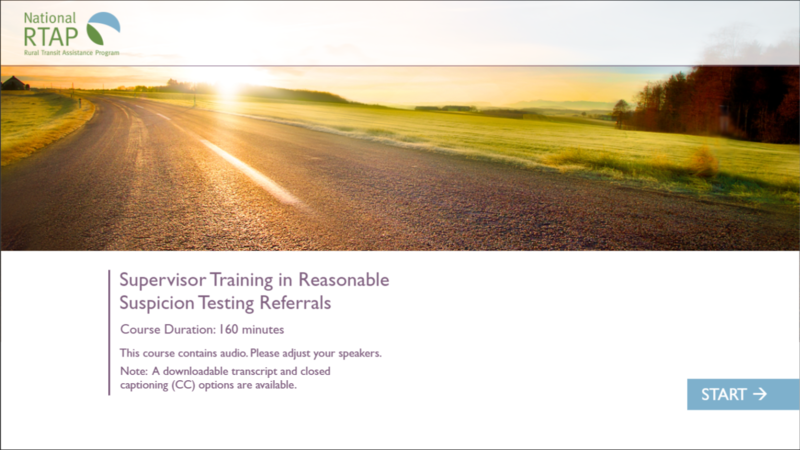 Designed to meet federal regulations, this training teaches supervisors to identify circumstances and indicators that may create reasonable suspicion that a driver is using or under the influence of alcohol or drugs, supporting referral of an employee for testing. The course includes various exercises as well as branching video scenarios. This sample highlights one scenario.